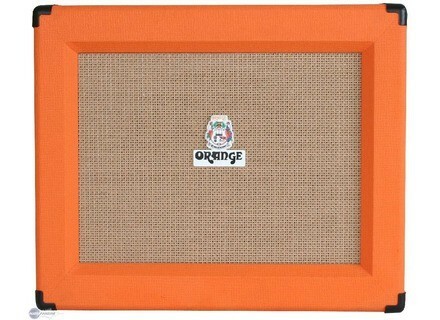 PPC112C, 1x12 Guitar Cabinet from Orange in the PPC series. 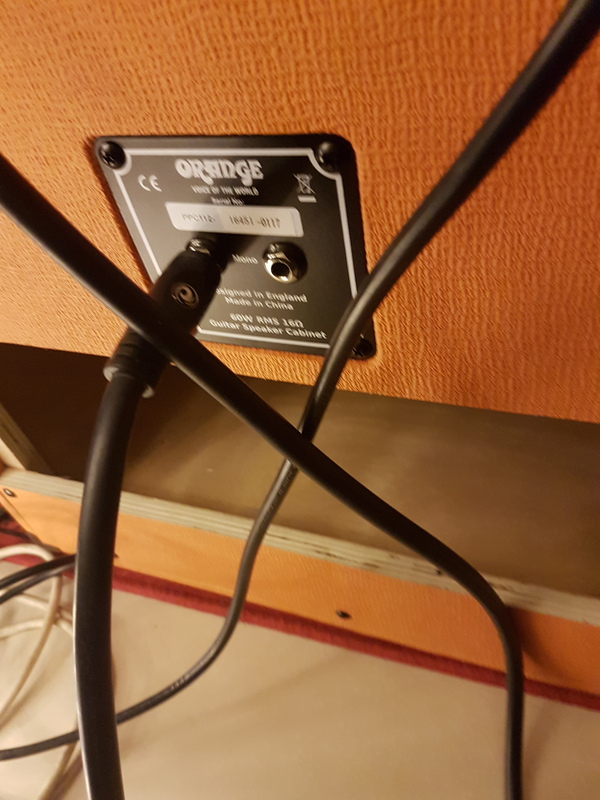 drapeau_rouge's review (This content has been automatically translated from French)" One of the best for the price"
The PPC112 is a 1x12 cabinet birch plywood built around a Celestion Vintage 30 that can get up to 60W maximum power. The cab has an impedance of 16 Ohms and weighs 15 kgs. The quality is very surprising for a cab that price. 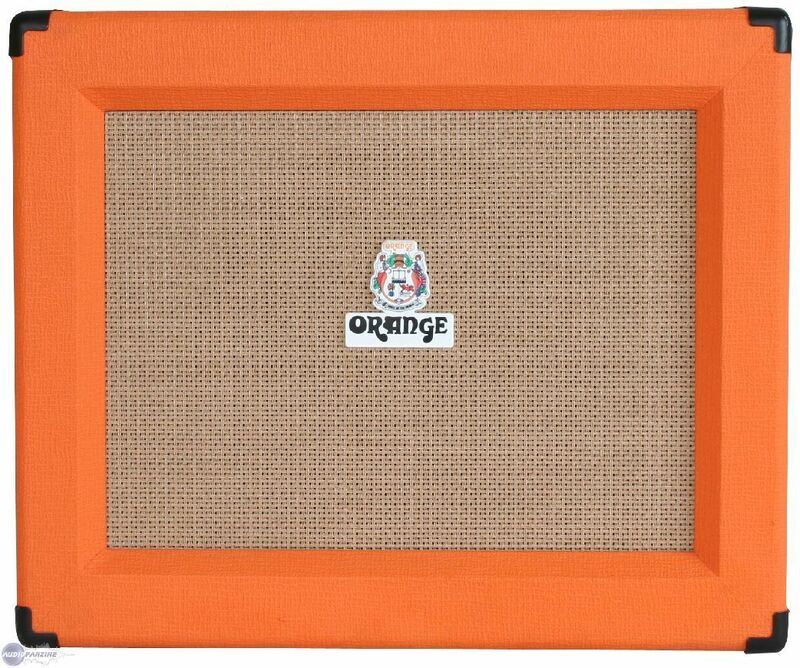 The Tolex is well posed, the cabinet is solid, the canvas before the HP is impeccable ... And then he has the look! Vintage to death! 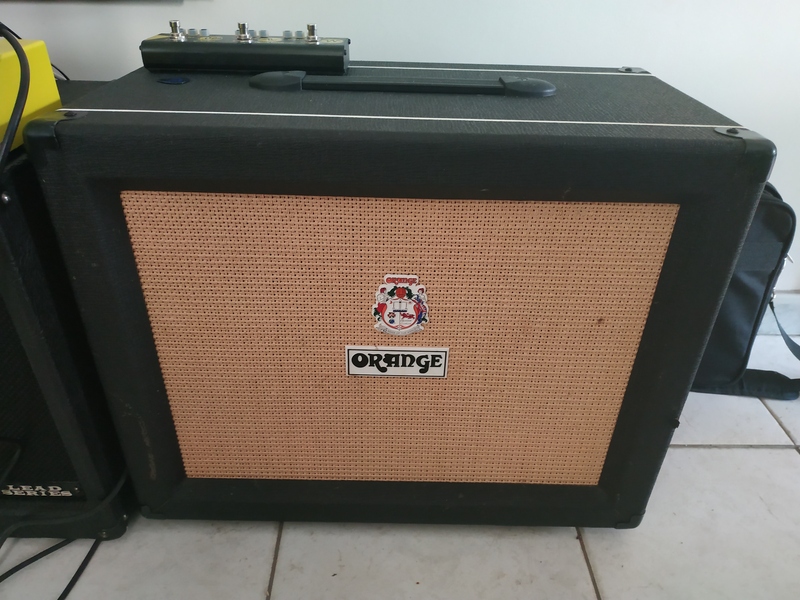 Unfortunately, I could not compare to other 1x12 so I do not know his position in relation to the competition ... Mesa Boogie seems to be fine with 1x12 Celestion Classic 90 and if I had to change one day for this will surely thereof. At home or in rehearsal, I never took the PPC 112 in default. Of course, I knew deeper bass but for such a low price, it is largely the work and allows a beautiful sound reproduction of the guitar. This is also currently the first prize for an HP Celestion Vintage 30. In general, I adjoins the baffle to my Tiny Terror but I've had the opportunity to plug my VHT Pitbull (50 W in fashion of course). In both cases, it has always been there! I think the boundary is the metal and high volumes. If you stay soft on the gain and master volume, the sound does not drool. doodb's review (This content has been automatically translated from French)" Best money I've ever report"
Here is a mind-blowing baffle. 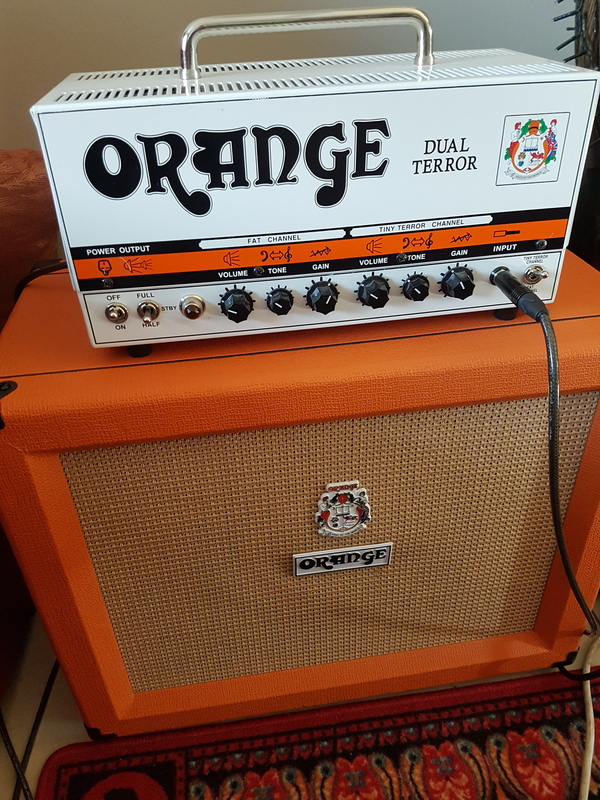 For its price refund is impressive, much better than a marshall 2x12 I owned. The sound is still very mediums over a boogie 2x12 I have. To budget and / or small size, look no further than this cabinet is really very good. tarz200tdi's review (This content has been automatically translated from French)" it does the job and does it well." Purchased new at a price gun on the net in a flash sale of a well-known dealer. connected either with AMT SS11 + EHX 44 or POD HD 400 + EHX 44. Good the moment you said that, but we also took the time to break quietly Vintage 30, it still works very well, with a punchy projection and a rather broad spectrum (although if you do not like the Vintage 30 ... do not buy it!) to be widely heard in repeats or small stage. After that, it remains a 1x12 ... having already played on 2x and 4x, for me the comparison does not really make sense. 8oris, who posted a notice here, has an excellent video that compares with my stuff Tech21 PE ... I encourage you to check it out! hen's review (This content has been automatically translated from French)" A practical and effective speaker." I use it for about 3 years with a head ORANGE ROCKER 30. 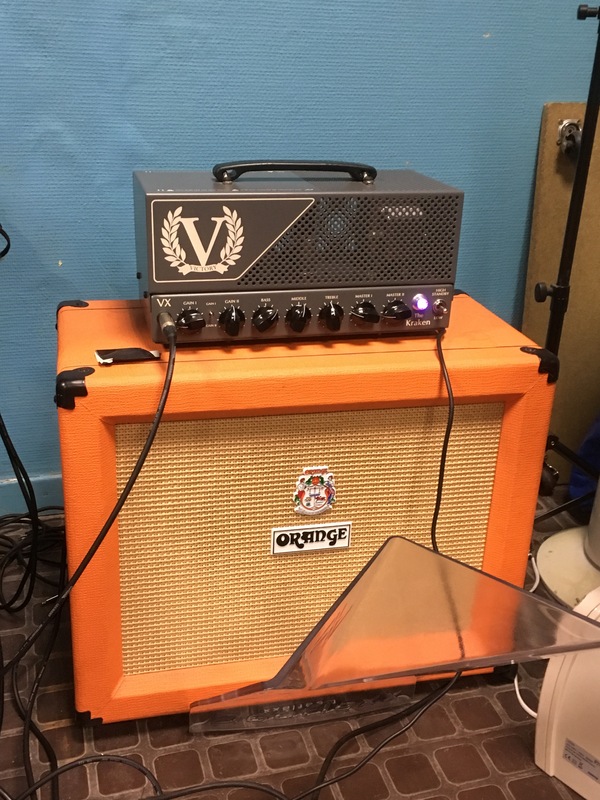 I play on a regular PPC 412 cab if my speakers are preferred NOS 2 x 12 8 OHM XL. I use it for small gigs in bars, it is easy to carry. It's vintage 30 in 60W. The finish is to be desired compared to the NOS (but it's normal custom) the Tolex is not very well adjust the black and overflows a bit. His side, if you want a heavy sound and powerful go your way. Otherwise the sound is very defined (that is, 16 ohm), clear. It was still a good depth on the bass without it being heavy. High mids out very well. English sound (obviously) dry and very racy. I admit that I use it more for its weight and also for his dry well suited to my new group. Transplanted with a microphone for bigger concerts it is perfect. I would also add that they are pregnant when she really effective are connected to the 16 ohm ORANGE. With this configuration was the best brand.